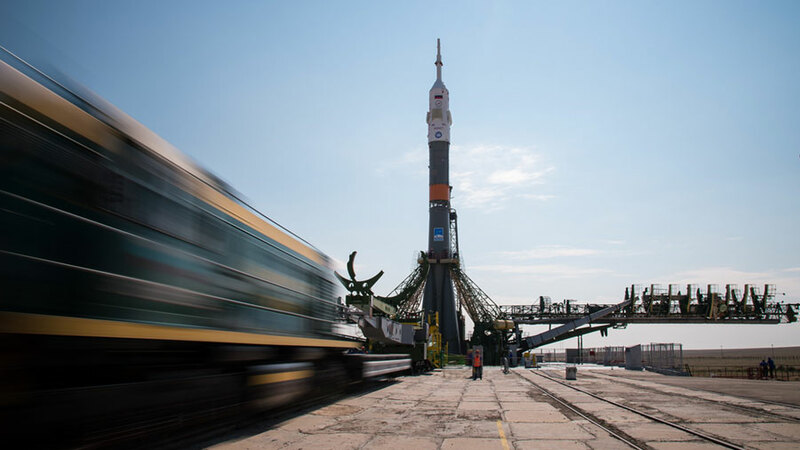 Two astronauts and one cosmonaut are scheduled to launch July 6 at 9:36 p.m. EDT (7:36 a.m. Baikonur time, July 7) for a two-day ride to the International Space Station. During their two-day transit from the launch pad at the Baikonur Cosmodrome in Kazakhstan to the station, the Expedition 48-49 crew will test a variety of upgraded systems on their Soyuz MS-01 spacecraft. The modified Soyuz is equipped with upgraded thrusters that are fully redundant, additional micrometeoroid debris shielding, redundant electrical motors for the Soyuz’ docking probe and increased power with more photovoltaic cells on the spacecraft’s solar arrays. Other enhancements for the Soyuz include a new digital video transmitter and encoder to send engineering video of the ship’s approach to the station for docking, a new relay telemetry capability along with an upgraded Kurs automated rendezvous antenna and an improved satellite navigation system to better calculate the Soyuz’ position in space. Soyuz commander Anatoly Ivanishin of Roscosmos, board engineer Takuya Onishi of the Japan Aerospace Exploration Agency and board engineer Kate Rubins of NASA will test these systems periodically throughout their 34-orbit journey to the station, the first of at least two missions in which enhanced Soyuz hardware will be tested and verified. The Soyuz is pretty small. Are the astronauts stuck in their chairs for 2 days?